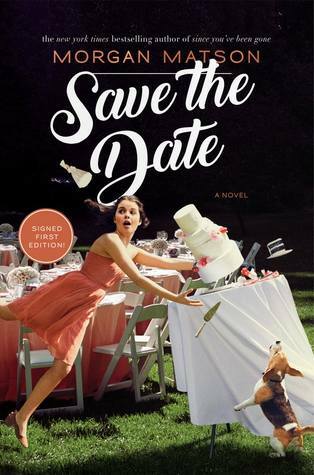 If you know someone that is getting married, do not let them read this book. As the Grant family comes together for the wedding of the oldest sibling, Linnie to Rodney, Charlie is hoping it will be like old times. Unfortunately from the moment J.J. shows up at the house until the end of the story, there is one disaster after another. The story is basically told from Charlie’s perspective. She is the youngest Grant and will be heading off to college in the fall. A lot of decisions for her to makes, specifically what college to attend. The Grant Family is a happy well-adjusted family on the surface, but when their mother uses Mike’s situation in her comic strip after he specifically asked her not to, he ends up estranged from his family. He comes home for the wedding but stays at a friend’s house, the friend that Charlie has had a crush on since she was a little girl. Charlie was so hoping this would be a wonderful family get together for the wedding weekend, but when her oldest brother and the one she idolizes shows up with his girlfriend, the weekend takes a turn. With their home being sold, the Grant Family Comic strip coming to an end, Good Morning America doing an interview for their Monday morning segment and the wedding planner skipping town with all the funds, you know this will be a disastrous weekend. Charlie and the new wedding planner’s nephew Bill, come to the rescue and even though things are not as planned, they try to save the day. Overall this was a fun story. It showed how families can love one another, yet still be angry at each other. It also was a growing experience, especially for Charlie but others as well. They were not the perfect family, but they were the Grant Family and they made the best of their time together. It would be nice if there were another books showing what came next in Charlie’s life but we shall see. I laughed a lot while reading this book and cringed at other times but it was a great YA story that adults could enjoy as well. The publisher generously provided me with a copy of this book via Netgalley. 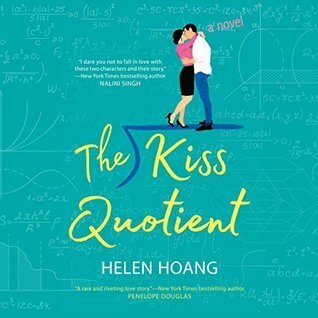 My Review: I wanted to read this book before seeing the movie. I was expecting a sad story but was pleasantly surprised. August (Auggie) was going to school for the first time in grade 5. He did not want to go, but his parents convinced him it was time and that his mother, who had home schooled him, was not able to teach him what he needed to know. This is the story of the great courage and character it took for this boy to face the harsh, often cruel and judgmental world of school, one day at a time, and not only survive, but grow. 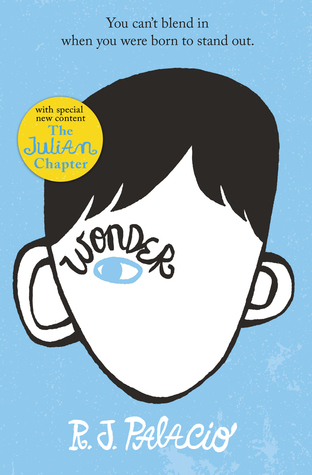 It is a very moving story and probably a good one for middle-school children to read to learn more about what it feels like to be so different on the outside yet only desiring to be seen as normal and to be accepted. The ending was a bit too happy for me. Having taught in the school system, I know it is not that easy to change people’s perceptions. I liked that they included Olivia and how Auggie’s facial anomaly effected her life as well. It is hard to be the sibling of a child with a physical or developmental issue. It is important that parents read this book as well. It is true that a lot of the things that were said or done to Auggie and Jack were condoned by adults in a way by allowing it and supporting it. A book that all ages could learn something from. My Review: It is a week before school starts for the year. Freshman students are at the school to get identification cards. 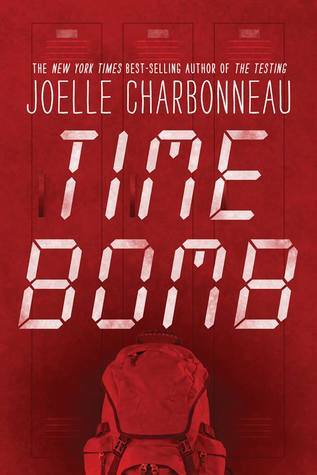 A few others are there for various reasons when the first bomb explodes. As the school starts to crumble survivors on the second and third floors are trapped and the school is on fire. Seven students manage to congregate in a classroom on the third floor awaiting rescue. We find the quarterback football star, Ms. Perfect, who is a Senator’s daughter, the tattooed bad boy who very seldom even comes to school, an overweight and bullied girl who is an outsider, another cool football player who has recently come out to his family as gay as well as being mixed race, and finallly a a Muslim boy who deals with the teasing and racial stereotypes from the students. As time progresses we meet each student and find out that they are all dealing with something. When it is made known that one of the students in the school is one of the bombers, it is hard to determine which one it is. They all have issues, they all seem to be on some kind of a mission, yet they all seem to want to get out of the school alive. The story takes place over a few hours with the point of view changing among the six characters by chapter. during a time a few students were in their school when bombs began to explode. It changes the point of view between six main characters that are each still alive and struggling with how to get out of the school. I read this book over a day as I wanted to find out which of these characters was involved in this sinister activity. With all the violence in schools today and people being urged to report behaviour that could become dangerous to others, this book shows us that is not always easy to do. A well written story that leaves you thinking. The publisher generously provided me with a copy of this book via Netgalley. My Review: I read a few reviews of this book and requested a copy from the author for review. I was lucky to get one and I really enjoyed it. 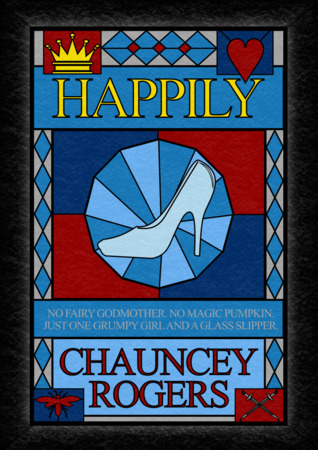 If you are looking for a typical retelling of the Cinderella story, you will be disappointed. This is an alternative version with several theories about what was really going on at the time. Yes, we do find out how Cinderella and the prince meet, yes there is a glass slipper, yes there is a ball, but besides those main facts, the story is a fairytale/fantasy of its own. The characters are quite unique and a strong female protagonist makes this a great story for females today. She is sassy, tough and open (she says what she thinks) as well as her characteristics at the beginning of the story where she is rude, selfish and sometimes mean. She is the heroine trying to escape poverty and have a better life, but she is no Cinderella. The story is told from Laure’s point of view and to see how she grows and changes in this story is wonderful. Luc is the main male character who she meets in a very dicey situation, but he sticks with her and her plan to dupe the Royal Family. There is a lot of description of the lives of the peasants and how they survived in medieval times. There is a lot of action and it is very well described as well. My only complaint would be that the language is very modern, but if you want a wide audience (children, YA and adults) maybe that is necessary. This would be a great story for anyone who enjoys fairytale retellings, fantasy stories from ages 12 and up. I received my copy of this book from the author upon my request, all the opinions stated in this review are my own. 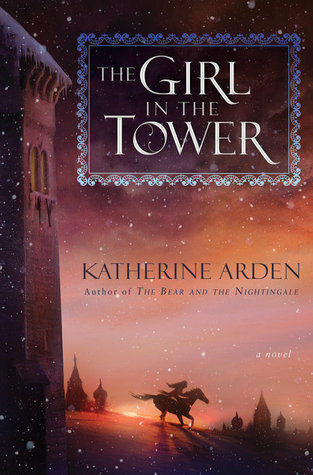 My Review: As I said after the first book, The Bear and the Nightingale, I am not a big fantasy reader, but i would classify this book also as folktale/mythology/history. I was looking forward to this book in the trilogy and even though I did not enjoy it as much as the first, it was still a very strong story and moved along quickly. 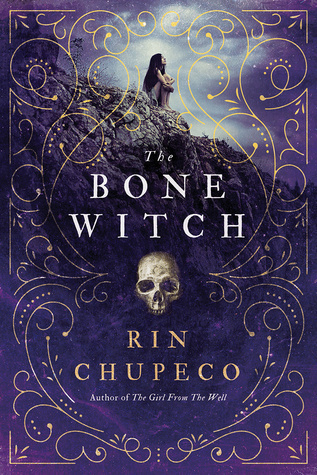 Medieval Russian superstitions are the backbone of this trilogy, with many of the same chyerti (spirits and/or demons) in this book as the first as well as some new ones. Vasya (Vasilisa) has the sight passed down to her by her mother and grandmother before her. Unfortunately, she has been labeled a witch, so unless she wants to be sent to a convent or marry someone she doesn’t love, she hops on her magical horse, Solovey, dresses up like a boy, and heads off into the world for adventure. Running into bandits who are burning villages and stealing young girls to sell as slaves, she escapes to a monastery with 3 of the girls and runs into her brother and the Crown Prince of Moscow. Her brother agrees to keep the secret of her gender so she is off to experience battle, camaraderie, and more. Once again, the winter king, Morozko, the man made of ice and snow, with his chilling pale blue eyes, comes to her aid many times. He also comes as death welcoming those who are leaving the earth. Vasya makes many decisions and choices that affect not only herself but family and others who have befriended her. Whether these decisions are the right ones or not will be revealed as you read this story. Katherine Arden has done a great job creating the time period and introducing us to the various magical creatures and the power they possess. This story is quite a bit darker with more violence than the first in the series. There is magic, family, folklore, the arising power of the church, battles, adventure, political uprisings and coups as well as bandits and the culture of the time. This was a very harsh and uncertain time for those in power as well as the individual lords and their villagers. The weather, especially the descriptions of the winter, make you feel what those living there are going through. There are pieces in the story that give us more information about the family that explain more about Vasya’s gift. The ending is a surprise and leaves you wanting more. I am looking forward to the last book in this trilogy. The author’s notes at the back give information about the folklore, the characters and her desire to stay true to the history of this period. I recommend this book to anyone as there is something for any book lover. The publisher generously provided me with a copy of this book via Netgalley. 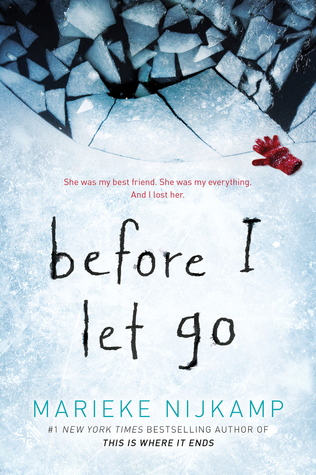 My Review: This is a high interest, low vocabulary YA book about a very sensitive issue. Tyler is physically and emotionally abused by his alcoholic father. His mother, fed up with her husband, took his younger sister and left, leaving 12 year old Tyler behind. When he is beaten that night by his dad, he finally tells a teacher what is happening. He is moved into a group home that night and then goes to live with his paternal grandmother. He is angry, dislikes everyone, hates school and wants to be left alone. When he makes a really stupid mistake, he is arrested and his grandmother no longer wants him to live with her. Figuring he is heading off to jail, he is offered a lifeline. He’s taken in by the Conways and they both show love and acceptance – but that’s not enough – it’s when Wayne Conway shows him how to channel and control his anger by learning to box that he begins to think he can be good at something. He begins running, lifting weights, learning the moves, and the thinking behind it that help him develop some self-respect. As he begins to feel better he has other successes in his life. A great story to show how and why some people may act the way they do. It also shows how finding self-respect and love from others can save someone from a life of self-destruction. 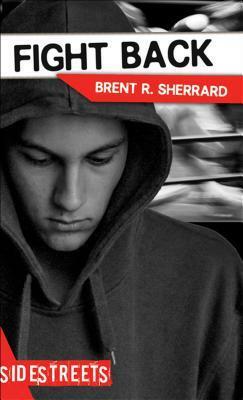 A great book for any high school library and especially for those reluctant readers. The publisher generously provided me with a copy of this book via netgalley. My Review: I read the last book from Marieke Nijkamp and really liked it, I had high hopes for this one, but unfortunately it does not measure up. I liked the short chapters and the underlying story about mental health but parts of it were a bit strange. When the town grabs onto this teen and uses her manic episodes to heal themselves and the town, it was difficult to understand. How parents went along with this was a huge mystery to me. As far as a YA book goes, teens might enjoy it very much and the message of accepting those with mental illness is very timely. The character of Corey was well written and it was easy to feel her emotions but most of the other characters were shallow and hard to understand their motives and actions. I do not want to give away the story so will leave it at that. The publisher generously provided me with a copy of this book via Netgalley.